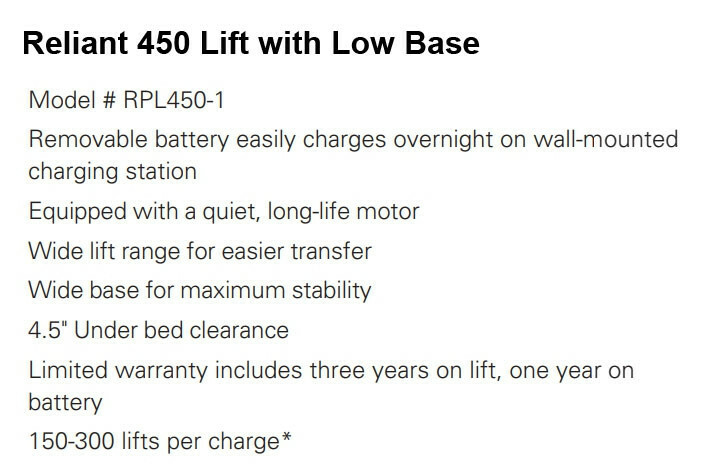 450 Battery-Powered Lift with Low Base - SHIPS FREE! 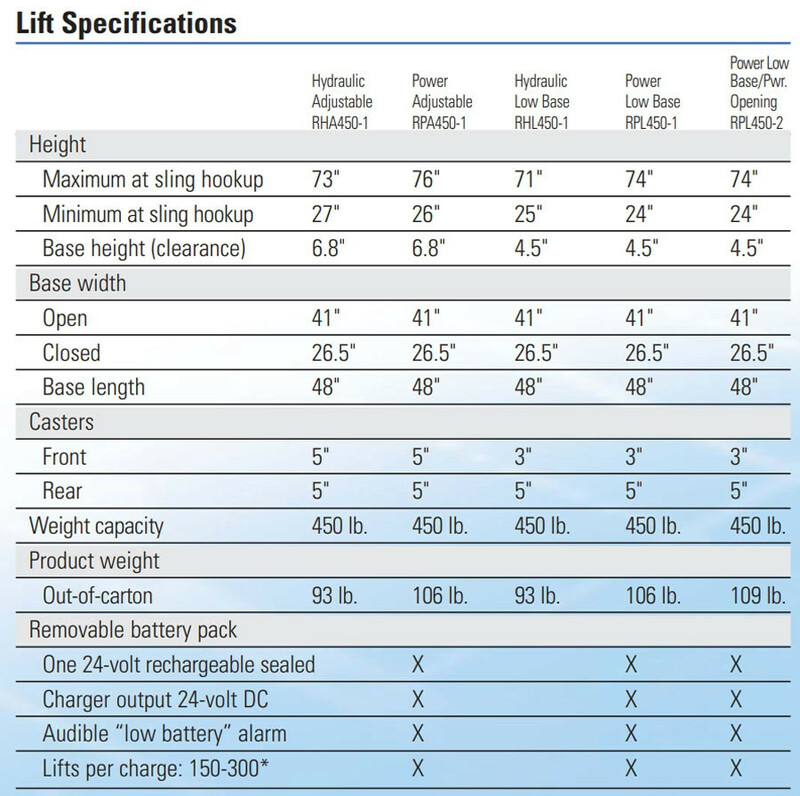 450 Pound Capacity Power Lift with Power Opening Low Base - SHIPS FREE! 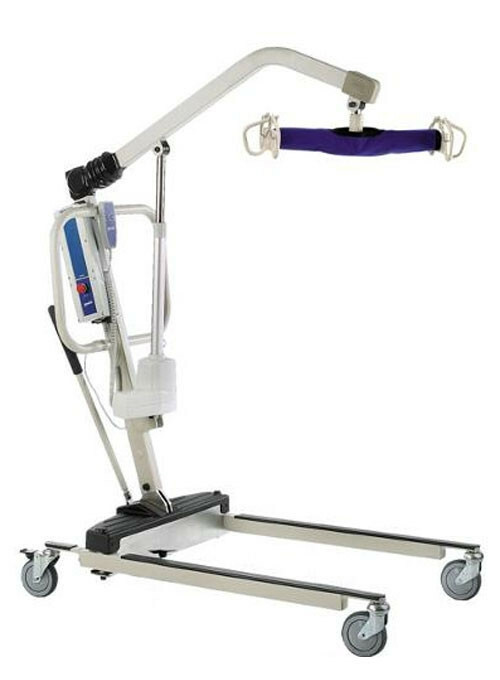 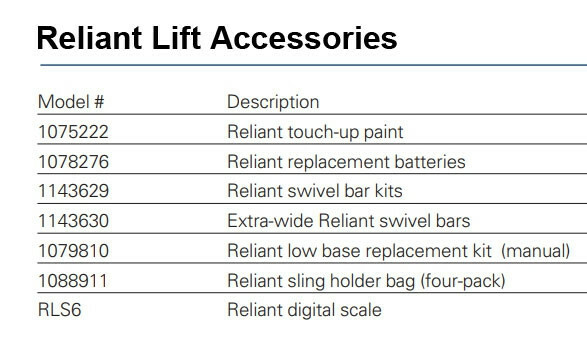 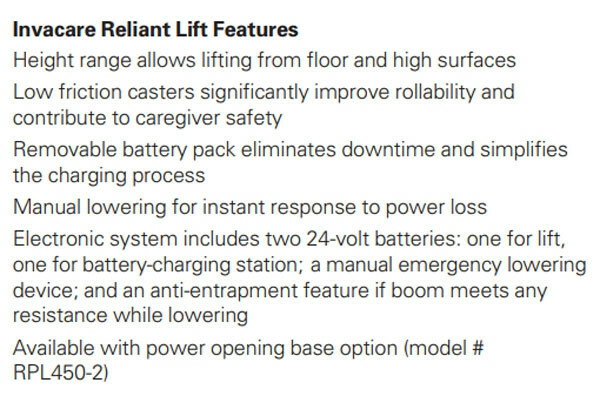 Reliant 450 Battery-Powered Lift by Invacare assists caregivers with difficult patient transfers to prevent injury to both caregiver and user. 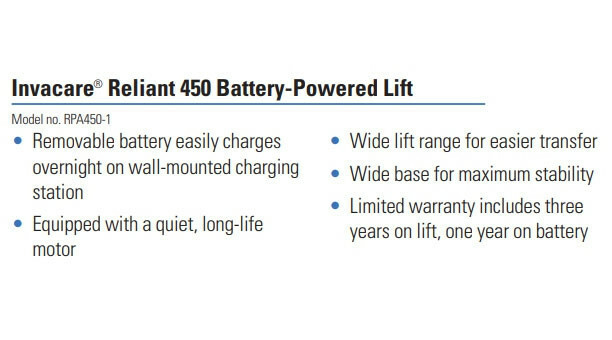 The 450 indicates it will support a patient up to 450 pounds. 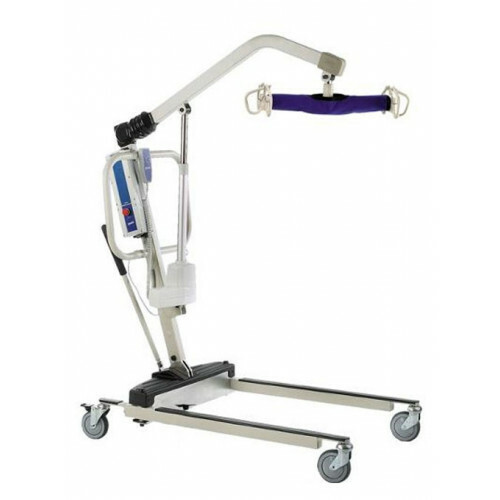 The Full Body Sling and the Divided Leg Sling are purchased separately and connects to six-point hook-up to safely transfer patients from a bed to a wheelchair or to shower or toilet. 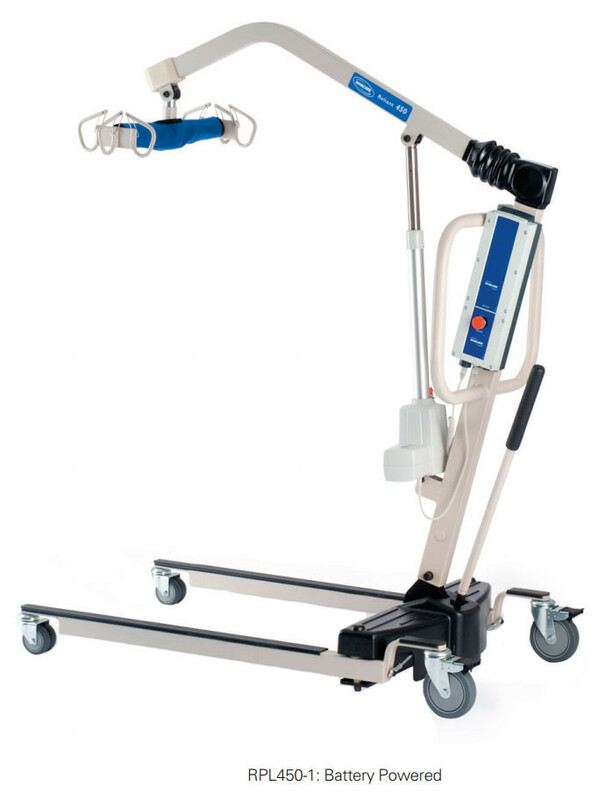 The lift is made of durable steel and comes with two model choices if you desire an additional power operated low base feature for ease of use. 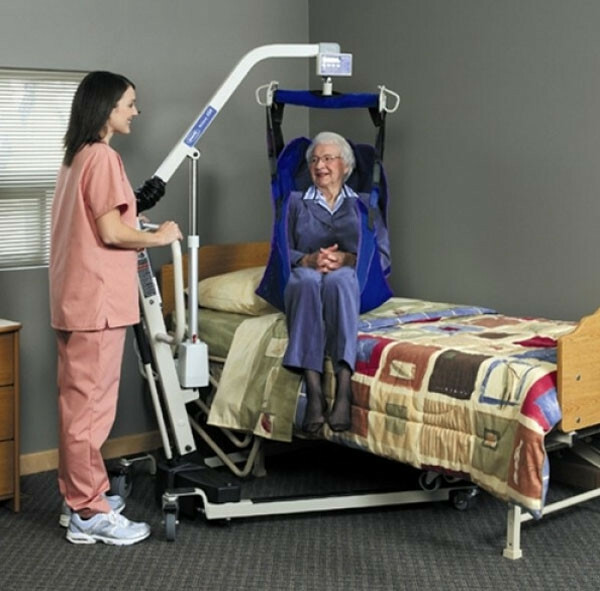 Both versions slide underneath a bed to allow caregiver get as close to the patient as possible. 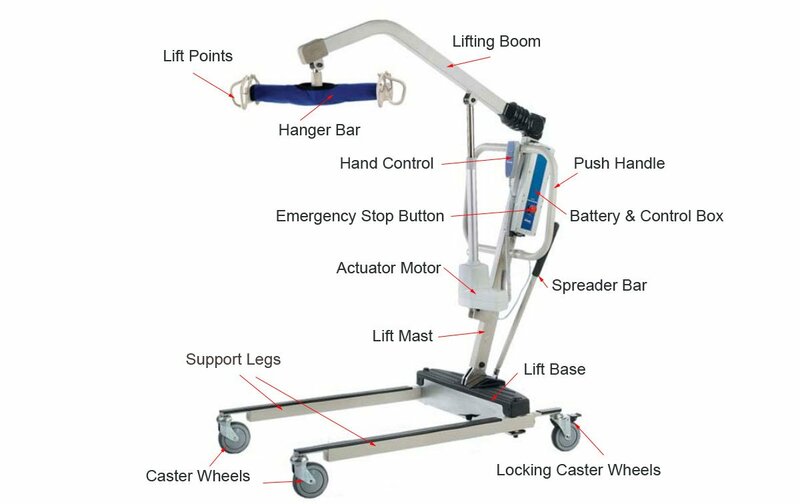 The powered low base make it easier to open legs when needing a wider footprint to create maximum stability for bariatric patients. 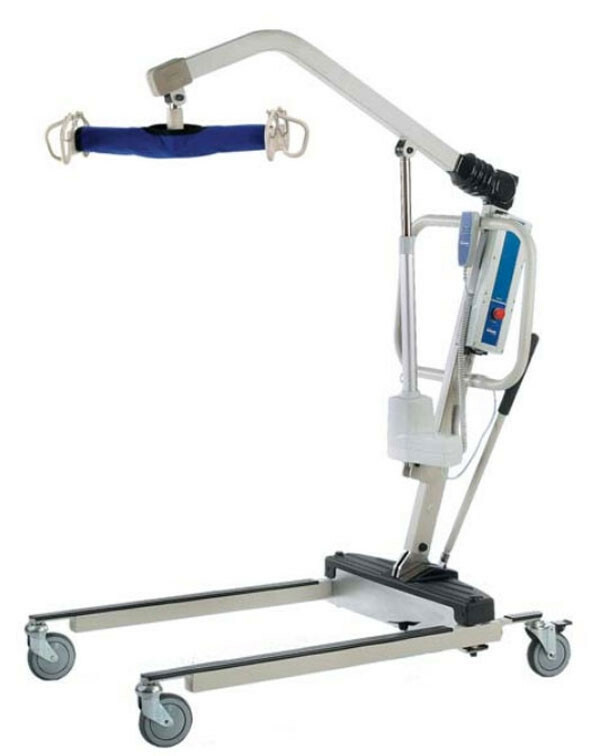 The padded swivel bar also adds convenience by rotating 360 degrees to get the best position. 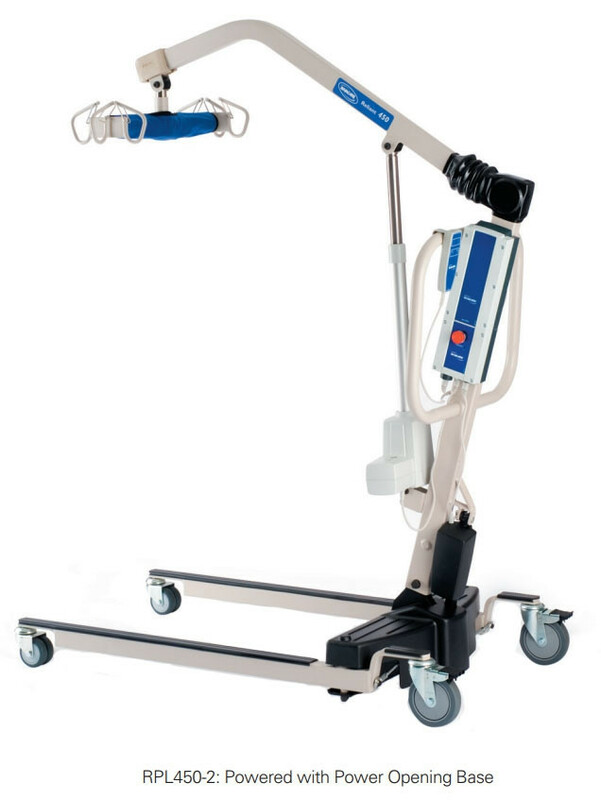 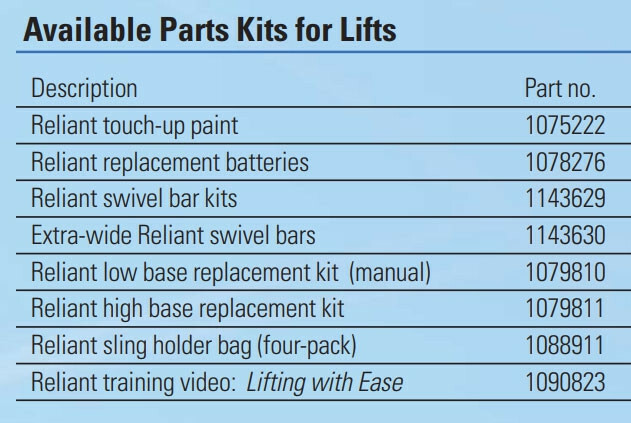 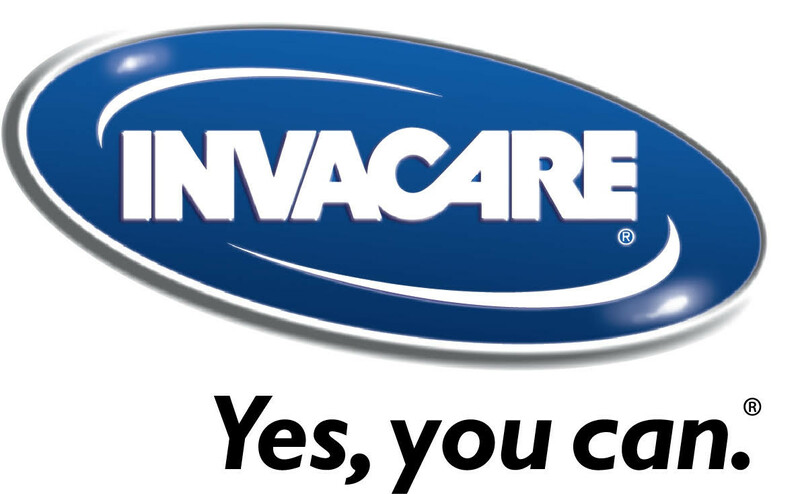 The Invacare also manufactures a higher lifting capacity with the Reliant 600 Heavy Duty Power Lift. 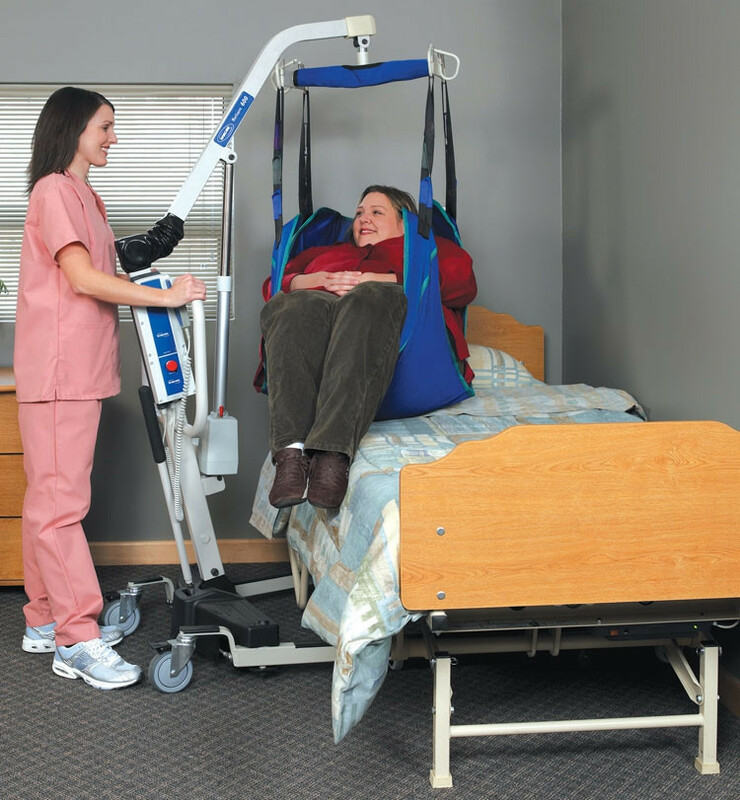 RPL450 Brochure covers the features and benefits for the this patient mobility product. 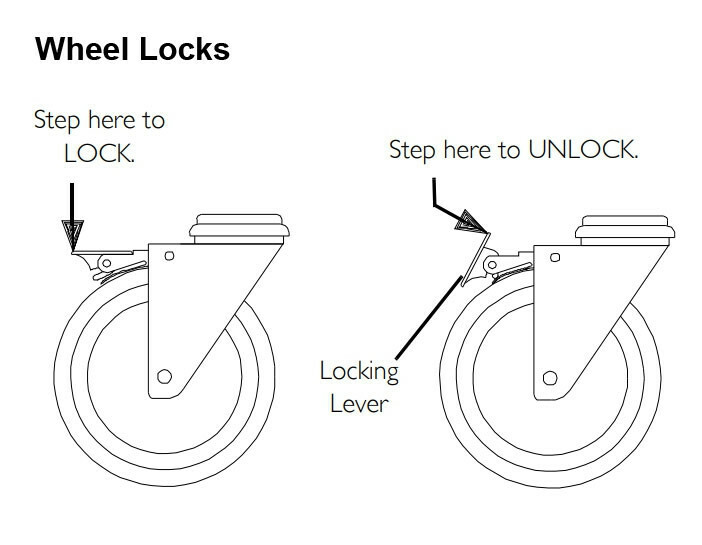 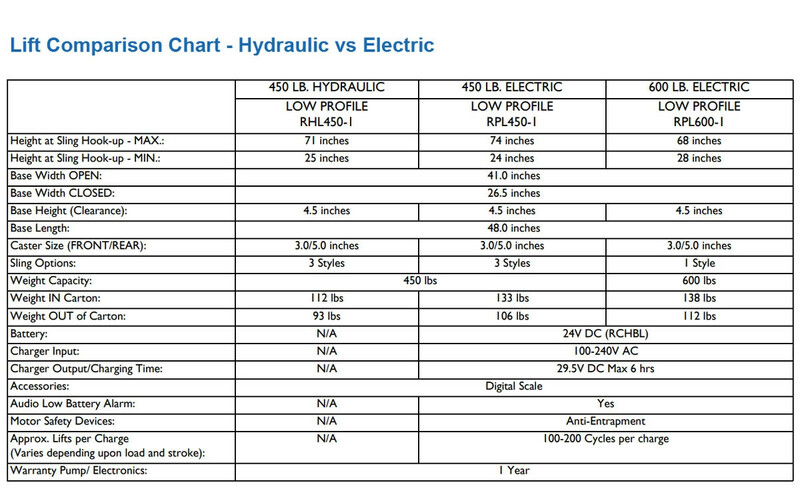 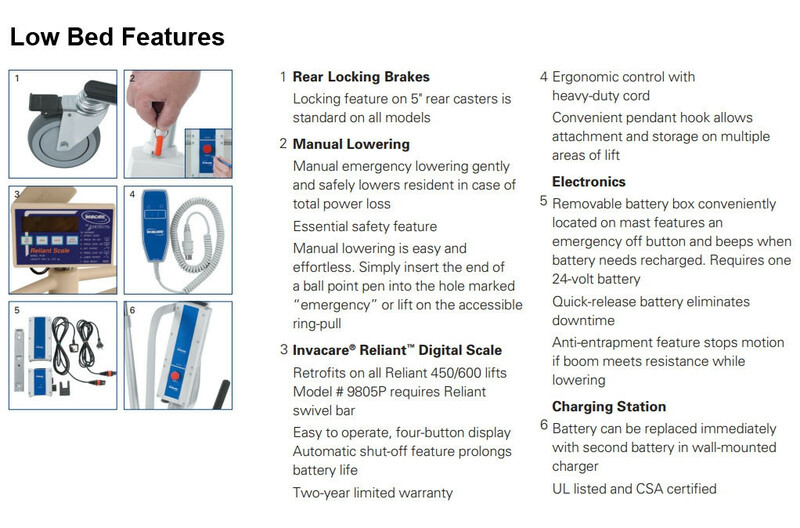 User Manual provides details on setup, maintenance and safe operation.